DesignView brand blinds, sold through Home Depot, are designed to be custom cut to fit your windows. The metal header, the part of the blind mounted to the top of the window behind the decorative valance, houses the mechanism for raising, lowering, opening and closing the wooden slats. You might want to unlock the header from its brackets to remove the blinds from the window for cleaning or repair. The removal process is quick and straightforward. The header locks into two brackets attached to the top of the vertical panels of the window frame. Detach the wooden decorative valance from the front of the header by gripping each end and pulling forward. Pull on the cord hanging from the header to raise the blinds as high as they will go. The blinds should be tightly tucked below the header. Lift the header upward and pull forward to separate it from the mounting brackets. 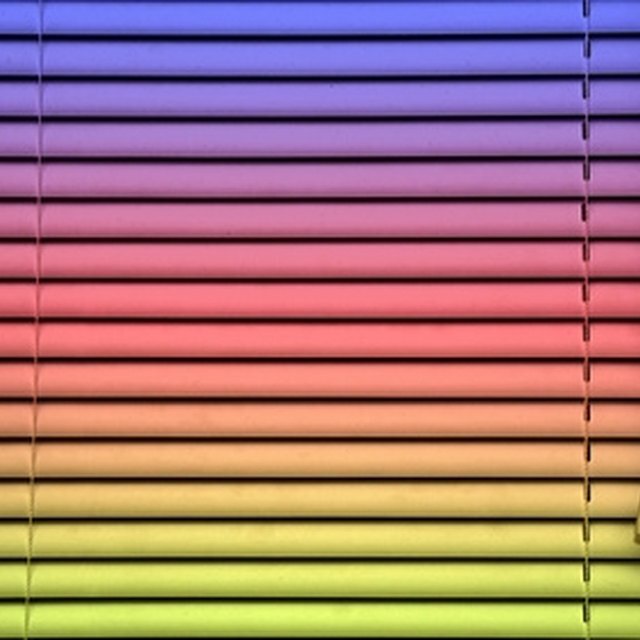 Carefully lay the blinds on the floor.